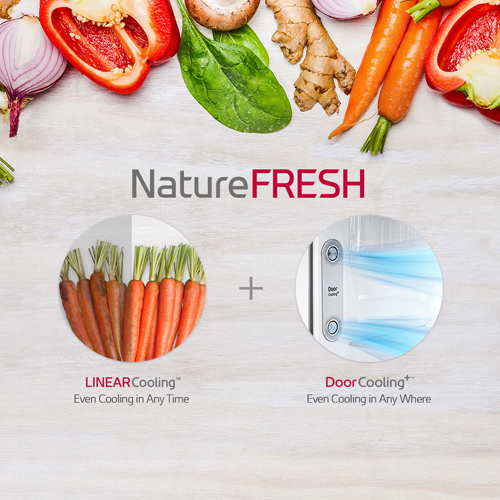 With an immaculate blend of power and performance, the LG Refrigerator brings advanced functionality and enhanced features to your home. Formulated with the latest Smart Connect Technology, it can work seamlessly even during power cuts. The shiny look with added benefits like a humidity controller and moist balance crisper imparts modern touch that suits your needs with precision. LINEAR Cooling™ keeps temperature fluctuation within ±0.5℃. Lesser fluctuations will help you retain the freshness of all that you store in the fridge. 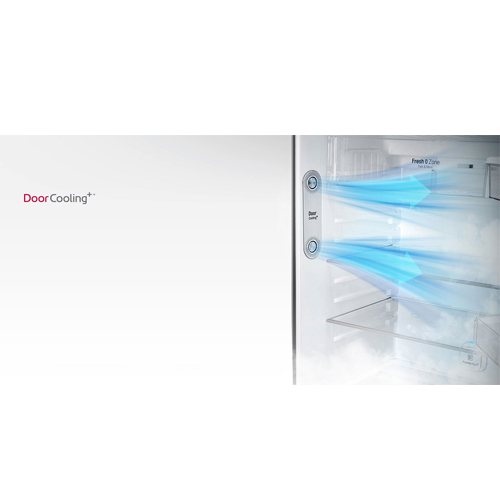 The door cooling features keeps the temperature of the refrigerator even and can cool items 35% faster. It will also keep all that you store in the door shelves cool and there wont be any temperature difference between the inside and the door shelves. 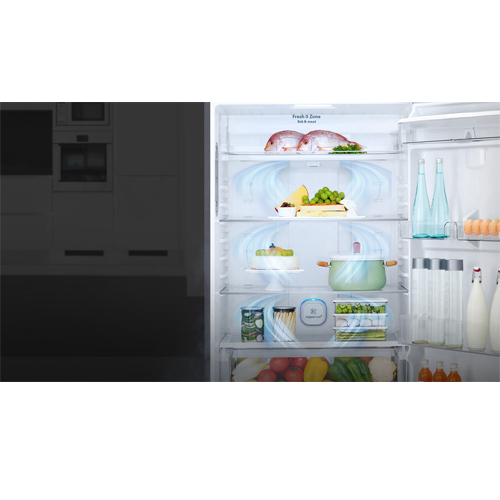 With multiple air vents, cool air is supplied to all the parts of the refrigerator to keep all the items cool.